My two best loves (outside of family and pets of course!) 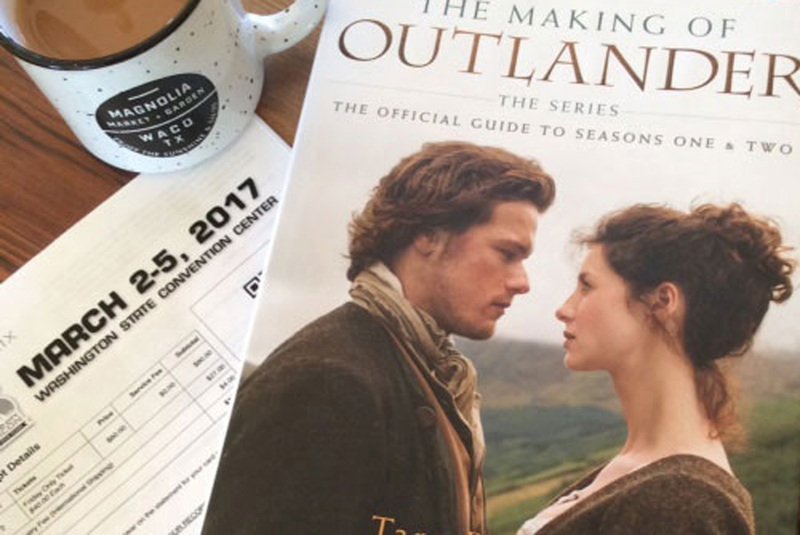 Magnolia Market and Outlander!! I am such a groupie. You would think at my age I would outgrow this stuff! So pleased to say that I have tickets for the Emerald City Comicon at the Washington State Convention Centre in Seattle. Leaving hubby at home again! I have never been to one so that will be an experience in itself, but secretly I am just going to try and get Sam Heughan’s autograph! For those of you not Outlander fans, he plays Jamie Fraser in the Starz Outlander series. Oh My Word!!!! Check him out. Can’t wait for the new season to start in April/May. Magnolia Market AND Sam in one year, bucket list, check check! !